Nichols began his career with The Rodeo Band, playing in high school gymnasiums and small clubs. Throughout the course of his career, Nichols has released nine studio albums: Joe Nichols (1996), Man with a Memory (2002), Revelation , A Traditional Christmas (both 2004), III (2005), Real Things (2007), Old Things New (2009), Crickets (2013), and Never Gets Old (2017). These albums have produced over 14 Top 40 singles on the Billboard Hot Country Songs and Country Airplay charts, including the Number One singles "Brokenheartsville", "Tequila Makes Her Clothes Fall Off", "Gimmie That Girl", "Sunny and 75", and the RIAA GOLD-certified single "Yeah", as well as five other Top 10 entries. Joe Nichols is the debut studio album of American country music artist Joe Nichols. Released in 1996 on Intersound Records, it produced the singles "Six of One, Half a Dozen of the Other", "I Hate the Way I Love You", "To Tell You the Truth, I Lied", and "Wal-Mart Parking Lot Social Club". None of these singles charted on the Billboard Hot Country Songs charts in the U.S., but "Six of One, Half a Dozen " reached number 74 on the RPM Top Country Tracks charts in Canada. It also reached #63 on the Cash Box Country Singles Chart. "She Could Care Less" was previously recorded by Shenandoah on their 1994 album In the Vicinity of the Heart. Man with a Memory is the second studio album by American country music artist Joe Nichols, released in 2002 on the Universal South Records label. It produced four singles on the Billboard Hot Country Songs chart: "The Impossible", "Brokenheartsville", "She Only Smokes When She Drinks" and "Cool to Be a Fool". It is certified platinum by the RIAA as shipping one million copies in the United States and received a Grammy nomination for Best Country Album. Revelation is the third studio album by country music artist Joe Nichols, released in 2004 on Universal South Records. It produced two singles on the Billboard Hot Country Songs charts: "If Nobody Believed in You" at number 10 and "What's a Guy Gotta Do" at number 4. Also included is "Farewell Party", a cover of a Gene Watson hit single. BBR Music Group is an American independent record label based in Nashville, Tennessee. Founded in July 1999 by Benny Brown, the label specializes in country music. The label's EVP is Jon Loba. RED Distribution, LLC is a Sony-owned sales and marketing division that merged under The Orchard in 2017. RED previously handled releases for more than sixty independent record labels. It was home to 'stache media, a marketing and brand partnership agency based in New York City which has since become RED MUSIC. Joe Nichols was born and raised in Rogers, Arkansas. He was the second son born to Michael Curtis Nichols (May 29, 1956 - July 16, 2002) and Robin Larson Nichols. Joe has an older brother Michael Curtis Jr. and two younger sisters, Kelli Francis and Lacey Nichols. His father, who worked as a trucker, also played bass guitar in local country bands; eventually, Nichols himself found work in a local rock band, before taking a job as a country disc jockey. Nichols is part Cherokee.  .
Intersound Records was an American independent record label that operated in the 1980s and 1990s. Brent Rowan is an American session musician and record producer who works primarily in country music. Active since the 1970s, Rowan began working with John Conlee through the recommendation of record producer Bud Logan. Rowan first played on Conlee's "Friday Night Blues", and later became the only guitarist for Conlee's recordings. "The Impossible" is a song written by Kelley Lovelace and Lee Thomas Miller and recorded by American country music artist Joe Nichols. It was released in March 2002 as the first single from his 2002 album Man with a Memory. The song was Nichols’ first chart entry on the U.S. Billboard Hot Country Singles & Tracks charts, peaking at number 3 in late 2002 and earned Kelly Lovelace and Lee Thomas Miller a Grammy nomination for Best Country Song. Fellow country singer Mark Chesnutt also cut the song around the same time Nichols did but shelved his version, finally releasing it as a bonus track on his compilation album Greatest Hits II. Nichols spent most of 2004 on tour with Alan Jackson. In June of that year, he issued his third studio album, Revelation . It produced two Top Ten hits in "If Nobody Believed in You" and "What's a Guy Gotta Do", at No. 10 and No. 4 respectively. Later that same year, he also issued an album of Christmas music, entitled A Traditional Christmas . Four of the tracks from this album received enough airplay to enter the country charts. III was Nichols' fourth album and was released in October 2005. Its lead-off single, "Tequila Makes Her Clothes Fall Off," became his second Billboard Number One hit, and both the single and the album receiving Gold certifications from the RIAA. The album also produced the Top Ten hits "Size Matters (Someday)" and "I'll Wait for You", at No. 9 and No. 7, respectively. In 2005, Anna Nicole Smith met Nichols at the Grand Ole Opry and she became a fan. After Smith's death, he performed two songs ("Wings of a Dove" and "I'll Wait for You") at her funeral service. Nichols joined Toby Keith on tours in both 2005 and 2006. Nichols' fifth album, Real Things, was released in August 2007. Its two singles, Another Side of You" and "It Ain't No Crime," were both Top 20 country hits. The album also included a cover of "Let's Get Drunk and Fight," which Canadian singer Aaron Lines released as a single in 2008. Nichols released a new single, "Believers," to radio on March 27, 2009. Written by Ashley Gorley, Wade Kirby and Bill Luther, it was the first single from his sixth album, Old Things New . The song failed to reach the Top 20, reaching a peak of number 26. However, the album's second single, "Gimmie That Girl," became Nichols' third Number One hit on the country charts in May 2010. The album's third single, "The Shape I'm In," was released in July 2010 and peaked at number 17 on the country charts. In 2014, he sang, together with Lucy Hale, the song "Red Dress", which appears on her album, Road Between . It was announced on Nichols' website that the lead single to his ninth studio album, titled "Freaks Like Me", would be released to digital retailers on September 18, 2015, and to radio on September 21, 2015. Nichols released the new single "Undone" on May 12, 2016  and released his ninth studio album Never Gets Old on July 28, 2017 on Broken Bow Records. "Freaks Like Me" and "Undone" are not included on the new album. Joe parted ways with Broken Bow Music Group in August 2018. William Matthew Currington is an American country music singer and songwriter. Signed to Mercury Records Nashville in 2003, he has released six studio albums for the label: his self-titled debut (2003), Doin' Somethin' Right (2005), Little Bit of Everything (2008), Enjoy Yourself (2010), We Are Tonight (2013), and most recently Summer Forever (2015). American singer and songwriter Carrie Underwood has released six studio albums and 31 singles. Underwood rose to fame after winning the fourth season of American Idol in 2005. Her debut album, Some Hearts, was released in 2005 and is the fastest-selling debut country album in Nielsen SoundScan history. It also became the best-selling solo female country debut in Recording Industry Association of America (RIAA) history, as well as the top-selling debut album of any American Idol contestant in the United States. Big & Rich is an American country music duo founded by Big Kenny and John Rich. Signed to Warner Bros. Records in 2004, the duo has released six studio albums, four extended plays, two extended play/DVD combos, one greatest hits album and eighteen singles. Their 2004 debut, Horse of a Different Color, is also their highest-selling album, certified 3× Platinum by the Recording Industry Association of America (RIAA) and gold by the Canadian Recording Industry Association (CRIA). 2005's Comin' to Your City is certified platinum by the RIAA, and 2007's Between Raising Hell and Amazing Grace is certified gold by the same. Their first EP/DVD combo, Big & Rich's Super Galactic Fan Pak, is also certified platinum. Thompson Square is an American country music duo composed of husband and wife Keifer and Shawna Thompson, both of whom alternate as vocalists. They signed to Stoney Creek Records, a sister label of Broken Bow Records, in January 2010. The duo has released three albums, which have produced a combined ten chart singles on the Hot Country Songs and Country Airplay charts. Of these singles, two — "Are You Gonna Kiss Me or Not" and "If I Didn't Have You" — reached number 1. LoCash, formerly known as LoCash Cowboys, is an American country music duo consisting of vocalists Chris Lucas and Preston Brust, natives of Baltimore, Maryland and Kokomo, Indiana, respectively. They have released one album each for Average Joes Entertainment and Reviver Records, and have charted seven singles on the Billboard Hot Country Songs or Country Airplay chart. Their highest-charting single is "I Know Somebody", which topped the Billboard Country Airplay chart in 2016. In addition to their own material, the members of LoCash co-wrote Keith Urban's number-one single "You Gonna Fly" and Tim McGraw's "Truck Yeah". Dustin Charles Lynch is an American country music singer and songwriter, signed to Broken Bow Records. Lynch has released three albums and one EP for the label: a self-titled album in 2012, Where It's At in 2014, Current Mood in 2017, and Ridin' Roads in 2019. He has also released eight singles, of which six have reached the No. 1 position on Country Airplay. American country music singer and songwriter Chris Young has released seven studio albums, eighteen singles – one of which was released twice – and fourteen music videos. Nine of Young's singles have reached number one on either the US Billboard Hot Country Songs or Country Airplay charts. In 2006, Young rose to fame as the winner of season four of American reality singing competition Nashville Star. He released his debut self-titled album in October of that year, which produced two singles that failed to reach the Top 40 of the Country Songs chart. "Sunny and 75" is a song written by Michael Dulaney, Jason Sellers, and Paul Jenkins and recorded by American country music artist Joe Nichols. It was released in May 2013 as his first single for Red Bow Records, and is featured on his eight album Crickets (2013). The song is about the narrator wanting to make a romantic moment with his lover by going to a mood-specific location. It received positive reviews from music critics. "Where It's At" is a song recorded by American country music artist Dustin Lynch. It was released in March 2014 as the first single from his second studio album. The album, Where It's At, was released on September 9, 2014. The song was written by Cary Barlowe, Zach Crowell and Matt Jenkins. The song garnered positive reviews from critics who praised its upbeat instrumentals and Lynch's vocal performance. "Yeah" is a song recorded by American country music artist Joe Nichols. It was released in January 2014 as his second single for Red Bow Records and from his eighth studio album Crickets (2013). The song, written by Ashley Gorley and Bryan Simpson, is about a man having a one night stand in the summer with a woman. "Who I Am with You" is a song written by Marv Green, Paul Jenkins and Jason Sellers and recorded by American country music artist Chris Young. It was released in January 2014 as the second single from his fourth studio album, A.M..
Chase Bryant is an American singer and songwriter. Bryant is a family name shared by his grandfather, Jimmy Bryant, who performed with Roy Orbison and Waylon Jennings. "Freaks Like Me" is a song recorded by American country music artist Joe Nichols. It was released in September 2015 as his fourth single for Red Bow Records. The song was written by Monty Criswell, Josh Thompson and Lynn Hutton. 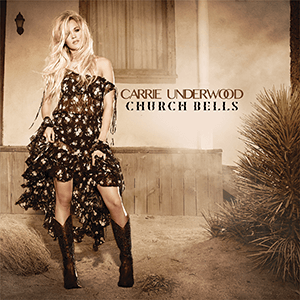 "Church Bells" is a song recorded by American singer and songwriter Carrie Underwood from her fifth studio album, Storyteller. The song was written by Zach Crowell, Brett James, and Hillary Lindsey, with production from Mark Bright, and was released as the third single from the album in the United States, being shipped to radio on April 3, 2016, and had an official impact date of April 11, 2016. 1 2 3 4 5 6 7 8 9 Huey, Steve. "Joe Nichols biography". Allmusic . Retrieved 2008-02-28. ↑ Allers, Hannahlee (April 29, 2015). "Joe Nichols on Country Music: 'We've As a Genre, We've Forgotten Who Loves Our Music" . Retrieved January 4, 2016. ↑ Schott, Josh (October 29, 2015). "The Hodgepodge: Mainstream Country Artists Need To Put Up or Shut Up" . Retrieved January 4, 2016. 1 2 Archived November 9, 2013, at the Wayback Machine . 1 2 Whitburn, Joel (2008). Hot Country Songs 1944 to 2008. Record Research, Inc. p. 299. ISBN 0-89820-177-2. ↑ Shelburne, Craig. "Joe Nichols Stakes His Claim With 'The Impossible'". cmt.com. Retrieved 2009-09-05. ↑ "Joe Nichols Biography". CMT. Retrieved 2011-07-13. ↑ "Joe Nichols to Sing at Anna Nicole's Funeral". CMT.com. 2007-01-03. Retrieved 2016-01-26. ↑ "Joe Nichols". Music Row. 2007-03-29. Retrieved 2009-06-03. ↑ Archived June 5, 2012, at the Wayback Machine . ↑ "Joe Nichols, 'Sunny and 75′ – Exclusive Song Premiere". Theboot.com. Retrieved 2016-01-26. ↑ "Nichols sets PR for adds for new single". Countrystandardtime.com. 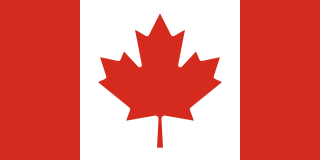 2007-10-23. Retrieved 2016-01-26. ↑ "'Sunny' Returns Joe Nichols To No. 1 On Country Airplay Chart". Billboard. 2013-12-03. Retrieved 2016-01-26. ↑ Whitaker, Sterling (August 26, 2013). "Joe Nichols Reveals Cover Art, Release Date and Track Listing for New Album". The Boot. Retrieved August 26, 2013. ↑ Archived January 14, 2014, at the Wayback Machine . ↑ "Single Releases : MusicRow – Nashville's Music Industry Publication – News, Songs From Music City". Musicrow.com. 2014-06-20. Archived from the original on 2014-02-12. Retrieved 2016-01-26. ↑ "Joe Nichols | #FreaksLikeMe". Freakslikeme.com. Retrieved 2016-01-26. ↑ Lipton, Mike (2015-01-26). "Joe Nichols Comes Clean". People.com. Retrieved 2016-01-26. ↑ Triggs, Charlotte. "Country Star Joe Nichols Enters Rehab". People Magazine . Retrieved 2009-04-23. ↑ "Joe Nichols Welcomes Daughter Dylan River". People Magazine . 2012-04-18. Retrieved 2012-04-18. ↑ "Baby on the Way for Joe Nichols". People Magazine . Retrieved 2012-02-21. ↑ "Joe Nichols, Wife Welcome a Daughter". CMT.com. 2014-05-20. Retrieved 2016-01-26. ↑ "Game 7 of the World Series Splits Joe Nichols' Household". Tasteofcountry.com. Retrieved 2016-01-26. "Cool to Be a Fool"
"If Nobody Believed in You"